Know ResumeBuddy and understand why using the product to come up with the right resume format, to get in during the first challenge on your job search road. Over the last three weeks, we have explored the building blocks of a good resume in detail — be it writing the most powerful resume, you’ve ever penned, checking against resume FAQs or working on hacks to fix existing issues on your current resume. And today, we explore the overarching solution – the right resume building format, ResumeBuddy. 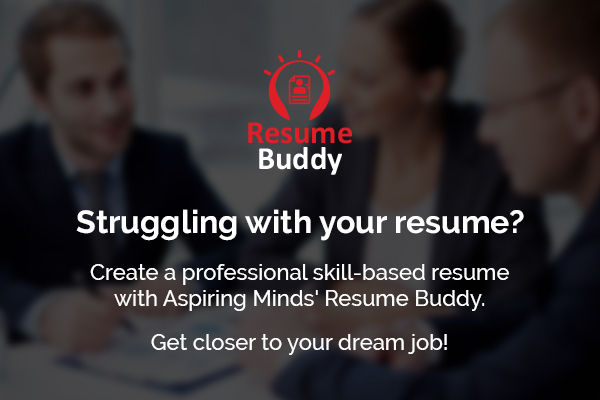 Aimed at both first-time job seekers and experienced hands alike, ResumeBuddy is an automated resume building format from Aspiring Minds Assessments Pvt Ltd. 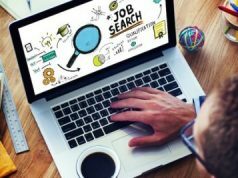 The resume format addresses a core need that they face – writing the right resume to clear the first hurdle in your job search journey. The ResumeBuddy, a boon especially for freshers, helps you create a professional, skill-based resume on entering basic details. And receive multiple content-based suggestions on how these details should be showcased on it. The ResumeBuddy works on preparing the right resume format for you through a four-stage process. While we would be delving into a lot of detail in our ResumeBuddy walk through next week, this is a basic idea of what happens when you choose to opt for this automated resume builder. Choosing the right resume format could not be any simpler – all you have to do is click through our hand-picked collection of more than 25+ professional templates to showcase your achievements. Based on the program’s internal recommendations, you can quickly build your resume in the compose frame. Available as soon as you click on the Create button, it leads to a preview variant of your ideal resume. After you finalise on the optimal resume format for your ResumeBuddy CV, you get the option to publish it in either print-friendly formats – DOC or PDF. So, with ResumeBuddy, you have the ideal resume format. What’s next? Preparing for application with the said resume – accompanied with cover letters. You also need to prepare for interview questions, with appropriate tips on techniques. This is information that a ResumeBuddy aspirant gets access to, courtesy the system. Intrigued by all that is on offer with the ResumeBuddy format? We recommend a quick peep into the product by clicking through here – you can try your hand at building the best possible resume to showcase your abilities, even before you consider purchasing it! I purchased this Resume Buddy, but still can’t publish it. There is some glitch which need to be sort out. Our support team will connect with you shortly.